Left wing who joined the Montreal Canadiens in 2017. 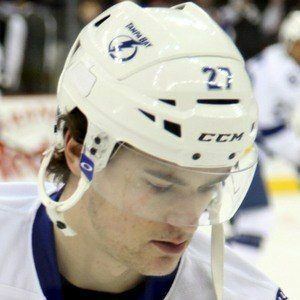 He was selected 3rd overall by the Tampa Bay Lightning in the 2013 NHL Entry Draft. He debuted for the team in October 2014, and earned his first career NHL point that same month. He made his junior hockey debut during the 2010-11 season for the Lac St-Louis Lions of the Quebec Amateur Hockey Association. In April 2016, he became the fourth Tampa Bay Lightning player to score his first NHL playoff goal as a game winner. He was born and raised in Sainte-Agathe-des-Monts, Quebec, Canada. He has played for head coach Jon Cooper on the Tampa Bay Lightning.